The LOOKY cycling glove is an invention of the Dutch KWAMUTEGEN foundation. The purpose of LOOKY is making cycling safer and encourage people to take the cycle more often. The exclusive rights for developing and marketing LOOKY are transferred to the - also Dutch - company JDVB. Right from the beginning JDVB was involved in every part of this invention. To make rear-view mirrors for cycles more common for cyclists (without the disadvantages of traditional mirrors), LOOKY has got unique features. These are especially made to attract every type of cyclist, young and old. * safe traffic and make cycling more fun. * stimulate cycling to help the environment, improving health and wellbeing. * taking the cycle more often also means less cars in traffic and therefore less accidents in traffic. * financial support to young victims of accidents in traffic. 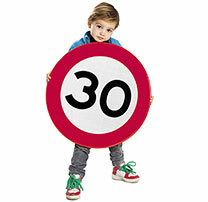 As the least expercienced road users, childeren are very vulnerable in traffic. They become victims of traffic accidents without even really participating in traffic. The 'KWAMUTEGEN childfoundation' is founded by the KWAMUTEGEN institute and provides financial sources to young victims of traffic accidents. The contribution goals are for exemple: assistive devices, sport, culture or improve the chances in the (future) labour market. Of every LOOKY sold, JDVB donates part of the revenue to a Dutch foundation: the KWAMUTEGEN childfoundation gives financial support to young victims of accidents in traffic.